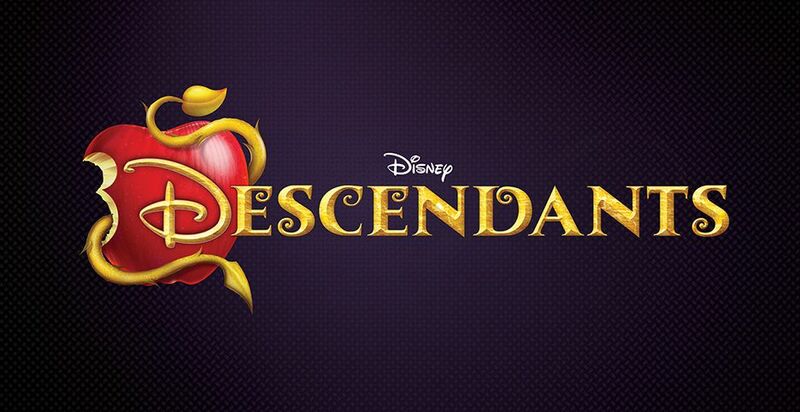 With a knowing wink at traditional fairy tales, Disney’s “Descendants” fuses castles with classrooms to create a contemporary, music-driven story about the challenges adolescent offspring face in living up to parental and peer expectations. With unexpected characterization, plot twists and turns, and dashes of wry humor, the movie is designed to appeal to kids and grownups alike as its story playfully presents the possibilities of what happened after the “happily ever after.” Driven by exciting music and performance, the story is set in the idyllic kingdom of Auradon where Ben, the benevolent teenaged son of the King and Queen (Beast and Belle from “Beauty and the Beast”), is poised to take the throne. His first proclamation: offer a chance at redemption to Mal, Evie, Carlos and Jay, the trouble-making offspring of Maleficent, the Evil Queen, Cruella de Vil and Jafar, who have been imprisoned on the forbidden Isle of the Lost for 20 years. These villainous descendants are allowed into Auradon for the first time to attend prep school alongside the teenage progeny of Fairy Godmother, Cinderella, Sleeping Beauty and Mulan. Only time will tell if these evil teens follow in the footsteps of their wicked parents! Kenny Ortega, the Emmy Award-winning director and choreographer of Disney’s “High School Musical” franchise, directs, choreographs and executive-produces the movie. It premieres in Summer 2015 on Disney Channel U.S., followed by Disney Channels around the world. The contemporary soundtrack includes six original songs ranging from electronic dance music (EDM) to a ballad and an urban pop rendition of “Be Our Guest” (from “Beauty and the Beast”). Starring are: Dove Cameron (“Liv and Maddie”) as Mal, the daughter of Maleficent; Booboo Stewart (“X-Men Days of Future Past”) as Jay, the son of Jafar; Sofia Carson as Evie, the daughter of the Evil Queen; and Cameron Boyce (“Jessie,” “Gamer’s Guide to Pretty Much Everything”) as Carlos, the son of Cruella de Vil. Mitchell Hope stars as Ben, the son of Belle and the Beast. Bringing their acclaimed talent in comedy and improvisation, are Tony-Award winner Kristin Chenoweth (“Wicked,” “Glee”) as Maleficent, Kathy Najimy (“Hocus Pocus”) as the Evil Queen, Wendy Raquel Robinson (“The Game”) as Cruella de Vil and Maz Jobrani (“The Interpreter”) as Jafar. Wendy Japhet (“An Education”, “The Italian Job”) serves as executive producer along with Ortega, and Ortega’s longtime collaborator, Paul Becker (“So You Think You Can Dance Canada”), joined him as choreographer. The script was written by Josann McGibbon and Sara Parriott (creators and Emmy and WGA Award-nominated writers on “The Starter Wife”; writers of “Runaway Bride” and on “Desperate Housewives”). The composer is David Lawrence (“High School Musical” trilogy). Songwriters and music producers include Alan Menken, Howard Ashman, Andrew Lippa, Adam Anders, Adam Schlesinger, Johan Alkenas, Peer Astrom, Charity Daw, Josh Edmondson, Nikki Hassman, Sam Hollander, Craig Lashley, Marco Mariangelli, Grant Michaels, Shelly Peiken and Joacim Persson. Disney’s “Descendants” is part of the blockbuster Disney Channel Original Movie franchise, which delivered five of the top six movies in cable TV history in Total Viewers.